Our engineers have many years of experience in maintaining diagnostic imaging equipment. We appreciate how important system reliability and uptime is to diagnostic imaging departments and with this in mind we minimise system downtime while maintaining the highest safety standards by taking steps to correct anything that may increase downtime. We makesure the engineer has the parts he may need to repair a system on the initial visit. Engineers carry a comprehensive kit of parts in their cars. Our spare parts stock is based in the UK keeping delivery time to a minimum. We add automatic on site hard disc backups to camera and workstation hard discs, backed up on a daily basis, so that in the event of a hard disc failure the system can be back in operation within minutes rather than days. So if you want your camera repaired promptly with minimum fuss, any long term ongoing faults corrected, then please contact us for a competitive quote. Specialists in the Maintenance and Repair of Spectrum Dynamics, IS2/Positron and ADAC/Philips Gamma Cameras. Medical Imaging Consultancy Ltd (MIC) specialise in the maintenance, repair and sale of nuclear medicine gamma cameras manufactured by ADAC, DDD, IS2/Positron, Philips Medical Systems and Spectrum Dynamics. Some of the systems we service include the DDD QuantumCam, NephroCam, SoloMobile and Solo, Philips/ADAC Forte, Forte MCD, Vertex PLUS, Vertex Classic, Vertex MCD / Vantage, Argus, Genesys dual head, Transcam mobile, DSPECT and Skylight gamma cameras. The ADAC / Philips Pegasys & Jetstream Workspace computer systems are also supported. who will be happy to provide further information and quotations about our products & services. We can also provide competitive quotations for your existing Philips, ADAC, IS2 and DDD gamma camera systems. MIC Ltd is the largest independent service provider in the United Kingdom for ADAC/Philips gamma cameras and is not affiliated with or endorsed by Philips/ADAC. It is also the exclusive providor of service & maintenance for Spectrum Dynamics in the UK. Are your cardiac waiting lists too long? Do you have a small spare room in your department to temporarily place a cardiac camera ? Are you replacing an existing camera but want to keep your cardiac waiting list to a minimum during the changeover ? Then maybe we can help ! 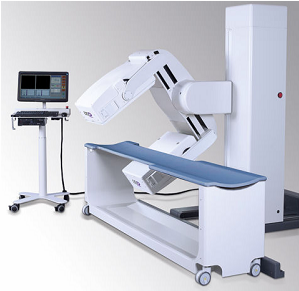 We can provide rental of a IS2 cardiac camera for periods of 3 months to beyond a year. Interested in hiring a gamma camera ? If you require a camera for a month, several months or even a year please contact us Cardiac, single head and dual head systems available. All inclusive pricing. MIC provided a cardiac gamma camera on a rental basis to a South Yorkshire hospital for a 14 week period. This allowed them to perform acquisitions on approximately 250 patients while their new SPECT/CT camera was being installed and commisioned. The cardiac camera allowed them to manage their waiting list and keep it to a minimum. MIC installed a Forte gamma camera in the south of England. MIC successful in bid for Skylight contract in the South of England. MIC successful in bid for Skylight contract in The Midlands. We can now provide a number of ADAC Vertex parts. If interested please take a look at the list of parts we have in stock here. April 2015 MIC provides a 3 year contract for two cardiac cameras in west London. December 2014 A single head Argus EPIC installed in London. October 2014 A third IS2 Pulse Cardiac Gamma camera is installed at Glasgow Royal Infirmary. October 2014 MIC & Philips complete fork upgrade on all Argus cameras in the UK. 10 February 2014 MIC install a Forte Powerpack gamma camera in West London, upgrading the customers single head camera to a dual head camera. 21 June 2013 MIC to install another Skylight and provide ongoing maintenance in the south of England. 20 June 2013 MIC provides service for a further two Forte cameras and another Skylight ! located in the south of England. VA SPECT Camera, for general purpose nuclear medicine. Interested in a new dual head then please give us a ring. NephroCam http://www.ddd-diagnostic.dk/nephrocam is optimized for seamless radioisotope renography and planar imaging. Solo Mobile http://www.ddd-diagnostic.dk/solomobile SoloMobile is designed to be moved within a nuclear medicine department. Committed to providing a first class maintenance and support service backed by ISO13485.